Let's honor the Year of the Dog 2018 with a collection of beautiful dog illustrations. Update 2/20/2018: It’s the Year of the Dog! 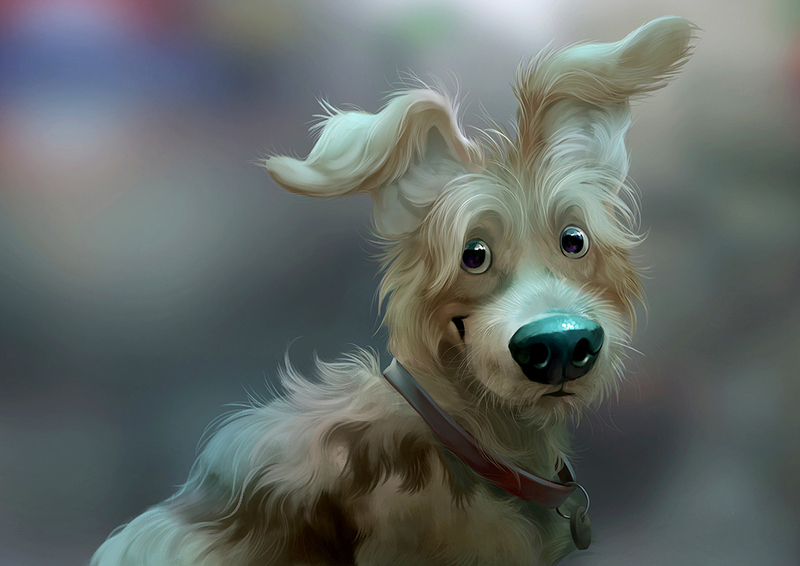 Let’s spread happiness and positive vibes with some incredible dog illustrations. After honoring cat people with an article devoted to their beloved pet, a post about dog illustrations was supposed to naturally follow. Being the first domesticated animal and one of the two most popular pets, it is believed that dogs have been around humans for over 15 000 years. Wow! We at GraphicMama love both these animals and had a blast digging out art masterpieces inspired by them. 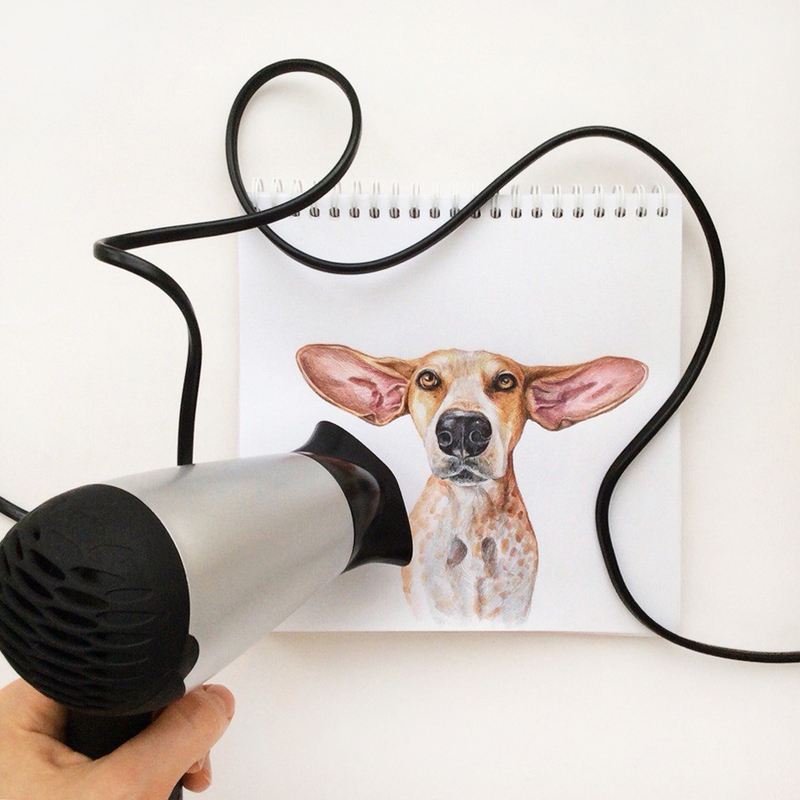 We already know you have a creative soul of an artist (since you are interested in illustrations and all) but we suppose your love for dogs is what made you click here in the first place. This is why, besides showing you some incredible dog illustrations, which were drawn in different artistic styles and for different purposes, we will also reveal some of the dog symbolism, common qualities of people whose power animal is a dog, a little bit about canine body gestures and some more interesting stuff going on in our tail-wagging fellas’ lives. We hope we’ve made you even more curious to figure out something new about symbolism behind dogs and their behavior. …your tail would be straight out right now as this means curiosity. We guess it doesn’t come out of the blue that dogs communicate throughout their tails. Both the position and motion matter. For instance, tail wagging doesn’t always mean happy but we will reveal more about this one later. Similar to people, dogs yawn when they are sleepy but they may also yawn if they are nervous. The same goes for lip licking. It doesn’t happen only when the dog is hungry or has just eaten. It may also be a signal of stress. If you’d like to study canine body language in detail, head over here. 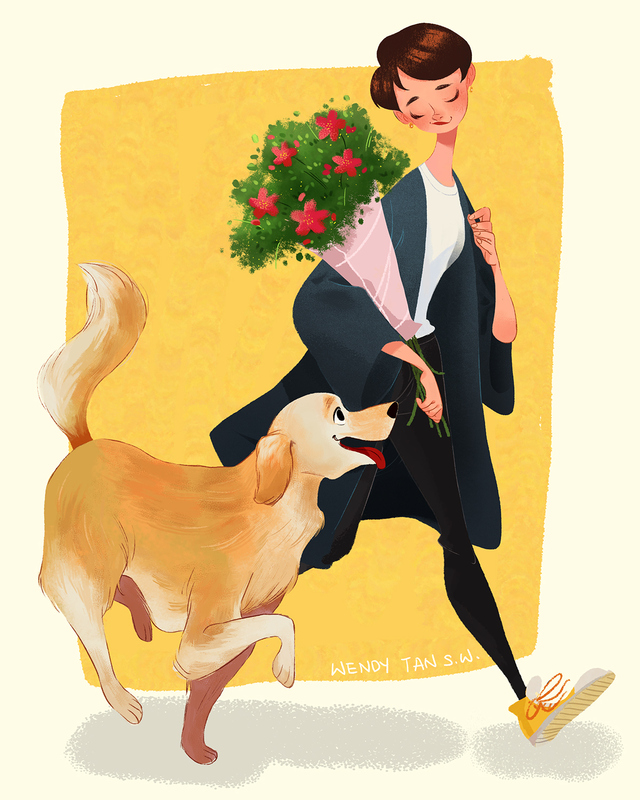 Meanwhile, enjoy this beautiful illustration on the right drawn by Wendy Tan SW. Clearly depicted in a happy, playful mood with the tail high up, you can say with certainty that this dog enjoys the walk with their owner. Dogs are called man’s best friend for a reason. 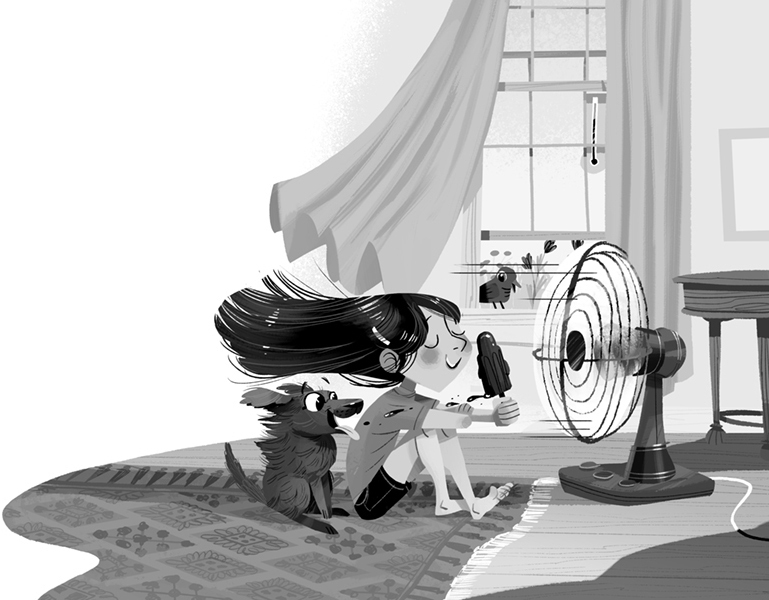 It’s not a coincidence that dog illustrations very often include people. In fact, it’s proven that dogs do bring health benefits to their owners. And no, we are not talking about boosting their inspiration levels and creativity (Although this is a major pro, right?). 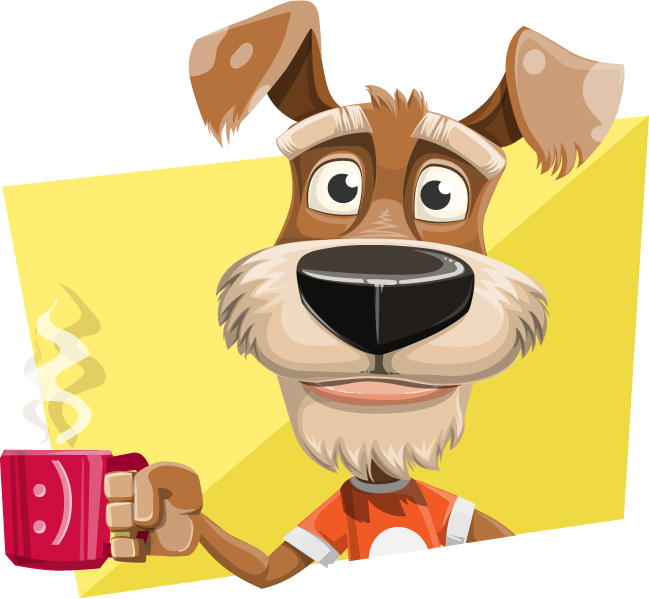 While still being on the creativity subject, why don’t you check some more of the dog illustrations we’ve cherry picked for you. The illustration on the left is drawn by Olga Demidova and it’s a part of an art collection named Friend’s Song. 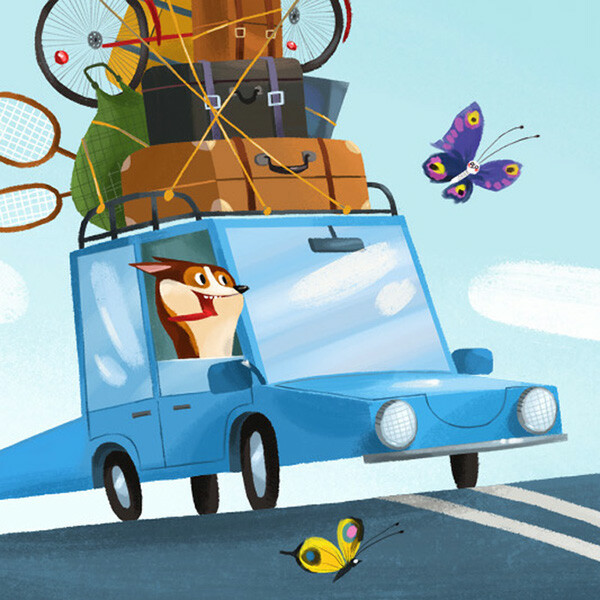 While the whole collection is truly adorable and worth checking out, this particular illustration depicts how genuinely happy dogs can be by enjoying the surrounding world. These animals simply embrace unpretentiousness. Let’s go back to those health benefits we’ve mentioned before. Dogs do not only give us their unconditional love but it turns out they can detect if something is wrong with their owner’s health. Scientists have proven that dogs are perceptive enough to smell foods you are allergic to, detect an upcoming danger or actual health problems such as low blood sugar or even cancer. In addition, they keep us more active! 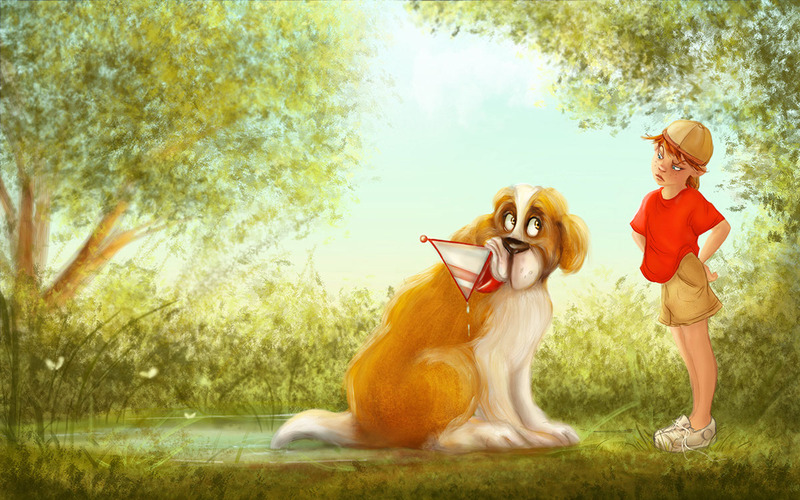 Here are two more adorable dog illustrations by Zara Magumyan, depicting the everyday life of man’s best friend. In good and bad times, dogs are always by your side. Being the most loyal animals, our beloved furballs often mirror the personality of their owners. Not only dog owners but all people whose power animal is a dog tend to be good at protecting and helping others. However, they need to be careful if people try to take advantage of their good nature. While you learn more about dog symbolism, why don’t you enjoy this beautiful black and white illustration on the right. Drawn by Kim Smith, it perfectly depicts the strong bond between dogs and humans and the behavior mirroring we previously mentioned. Dogs are absolutely gregarious. The furry buddies simply love to interact with the surrounding world. As you already know, the four-legged fellas express their emotions via their body language. But do you really know what their body gestures mean? We bet you’ve heard that tail wagging is good but did you know that the direction towards the dog wags their tails speaks about different emotional conditions? Turns out, tail wagging to the right expresses excitement and overall positive emotions, whereas tail wagging to the left usually indicates negative emotions and even makes other dogs stressed. Bet you didn’t see this coming, huh? 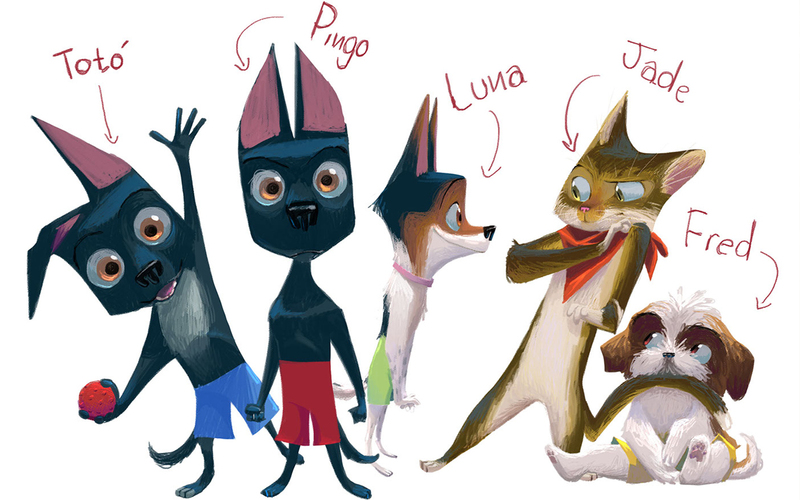 Let’s pep the things up with a few more dog illustrations, interacting with the surrounding world in a playful way. 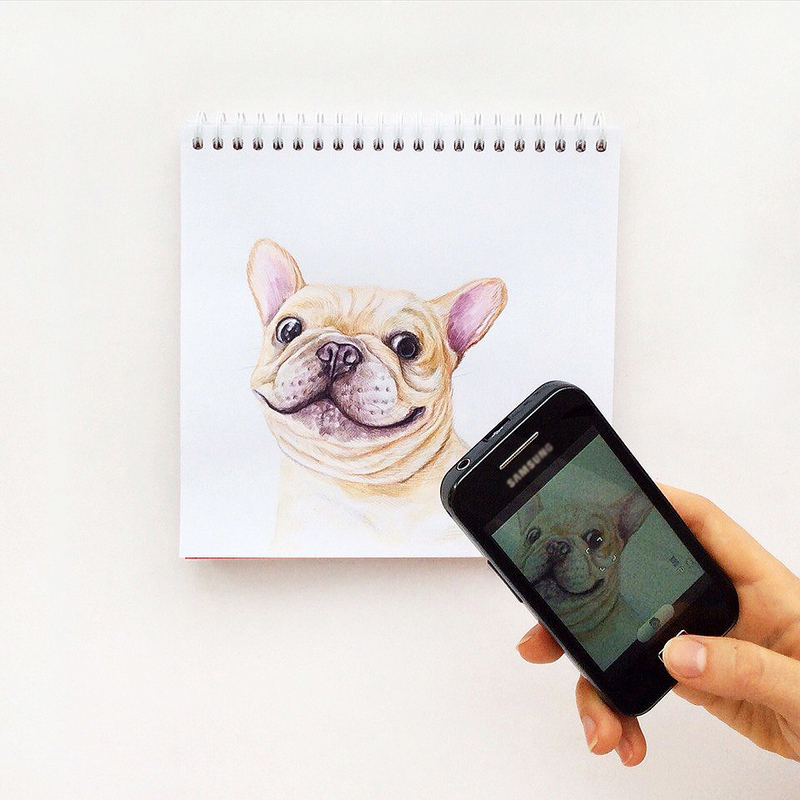 The creative artist who’s drawn these ingenious illustrations is Valeria Susik. Don’t hesitate to head over her gallery to check out the rest. 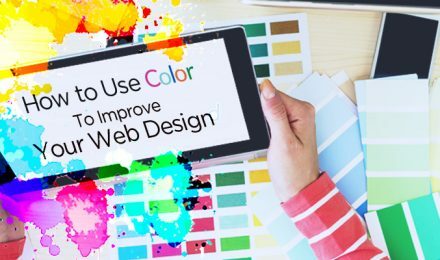 It can’t be denied that creative packaging is one of the most vital assets of marketers to achieve the sacred goal of grabbing the potential clients’ attention. 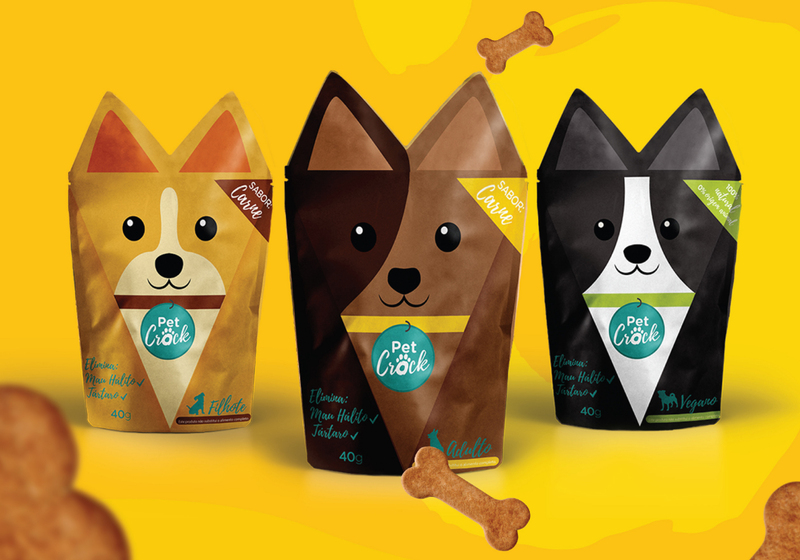 There are some incredible packaging designs out there which certainly stand out from the crowd of puppy products. The Whitebites packaging design on the left is created by Cecilia Uhr. It comes in 3 options including different dog illustrations, each representing the breed size for which these treats are suitable for. 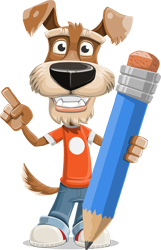 Moreover, the cut out on the dog’s mouth brings the fun factor to the overall design. On the one hand, it makes the Whitebikes treats look like the dog’s teeth. On the other hand, it gives the feeling that these yummy sticks are already in their mouth. Clever in both ways, huh? 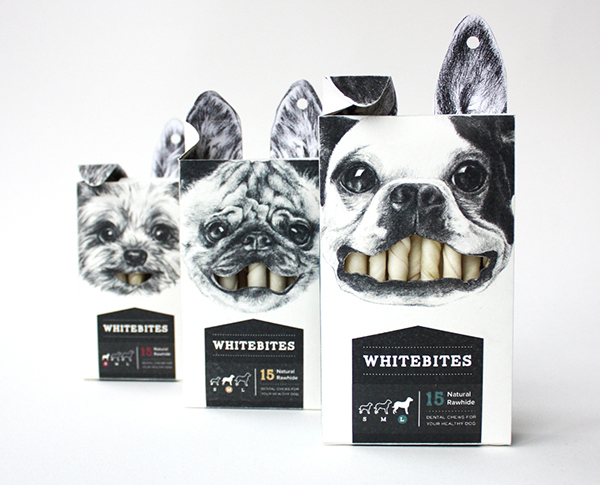 While the Whitebites’ dog illustrations are depicted as pencil drawings, the following packaging examples are presented in an entirely flat cartoon style. Drawn by Jessica Santos for Pet Crock brand, the different tastes come in different packaging designs, all representing puppies in a simple flat illustrative style. Adorable, aren’t they? When drawing for an advertising campaign, things can get really creative. The illustrations created exclusively for ads must come with a deep, physiological concept behind them, presented in such a way that it must instantly convey the message of the ad. The artist of this campaign Paulina Wyrt has done a perfect job. Designing several posters for a company involved in animal protection, these posters promote the adoption of homeless dogs. 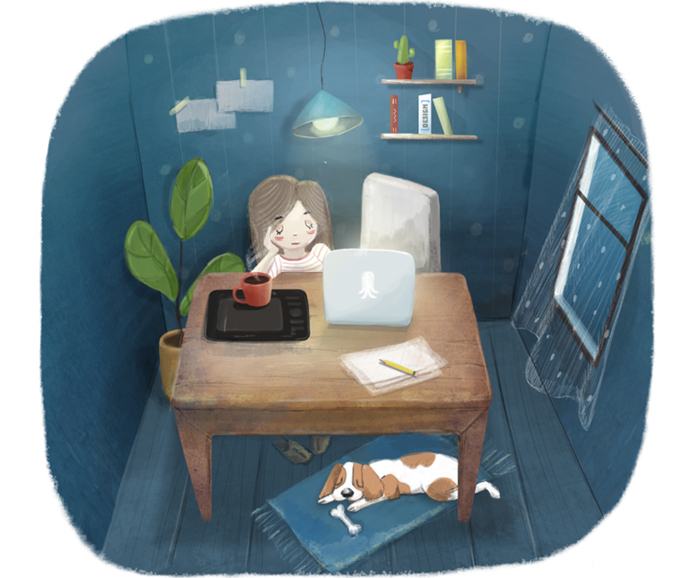 A sensitive subject presented in a brilliant way: through illustrations. As we’ve talked about this before, cartoons do indeed have the power of reducing the tension. If you’d like to learn more about the physiological influence of cartoons, head over here. Meanwhile, enjoy these awesomely creative ad posters. We hope you learned something new and interesting today about your little (or big!) furry companions. 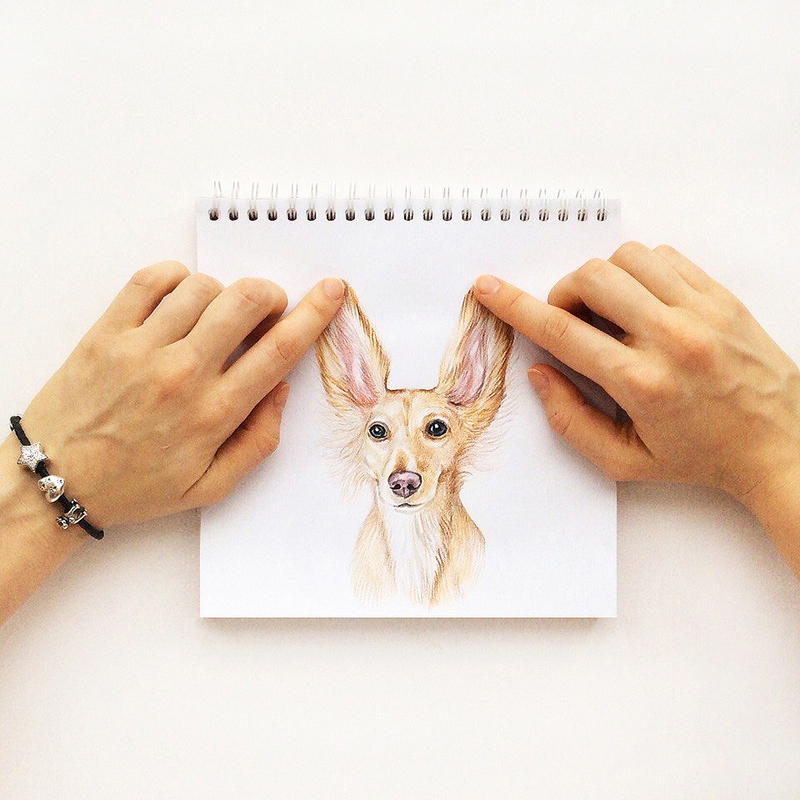 Here are several more impressive dog illustrations to feast your eyes on. 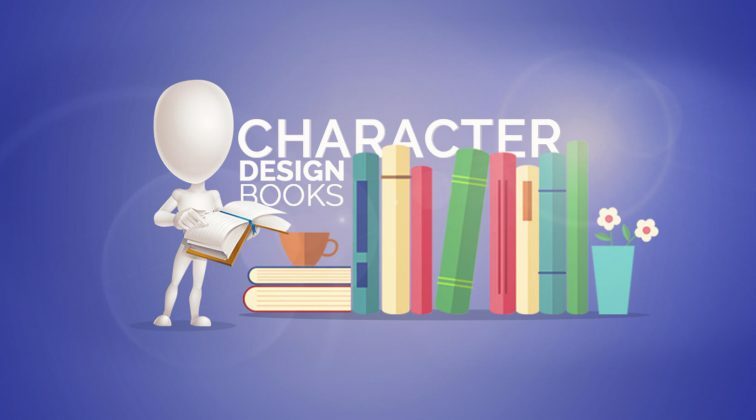 Drawn in various styles, we’ve mentioned the talented artists’ names in the description of each illustration. Enjoy! 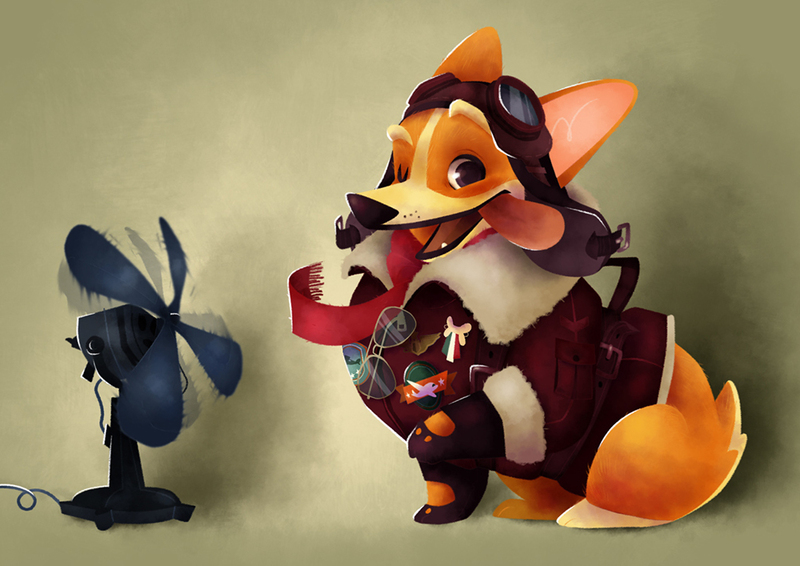 “Doug Eagle The Corgi Aviator!” by Benedetta Capriotti drawn in a beautiful watercolor style. If you click on the illustration, you will also see its sketch. Juste can’t get over how adorable this four-legged furry aviator is! Coke “Man and Dog” by Therese Larsson: a project made for a Coca-Cola campaign. 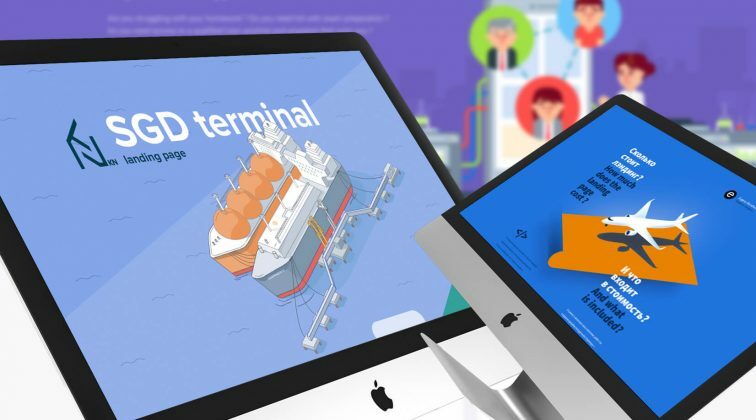 You should definitely head over its Behance presentation to check out plenty of awesome projects related illustrations. 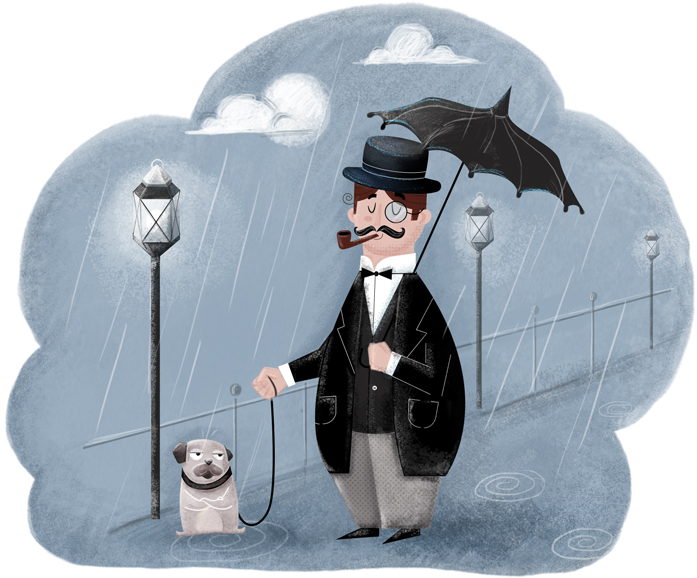 “Puddle” by Mary Manning: a funny digital illustration of a dog and their owner spending time together outdoors. Drawn in a watercolor style, it is simply adorable! So much playfulness in one place! The artist of these pastel dog illustrations (all right, and a cat) Caio Martins has drawn personified versions of his own pets. Cool! 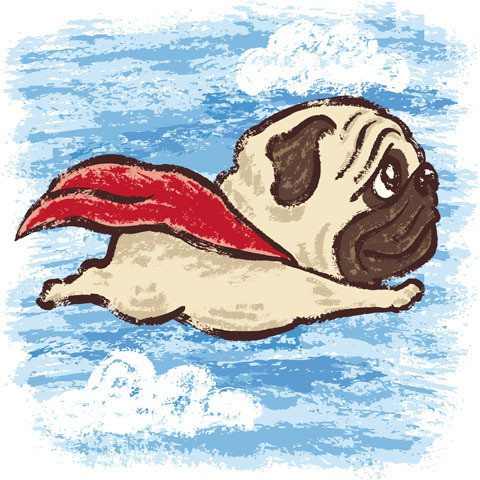 “Super Pug” by Toru Sanogawa: a beautiful illustration of a flying superhero pug made exclusively for a game. 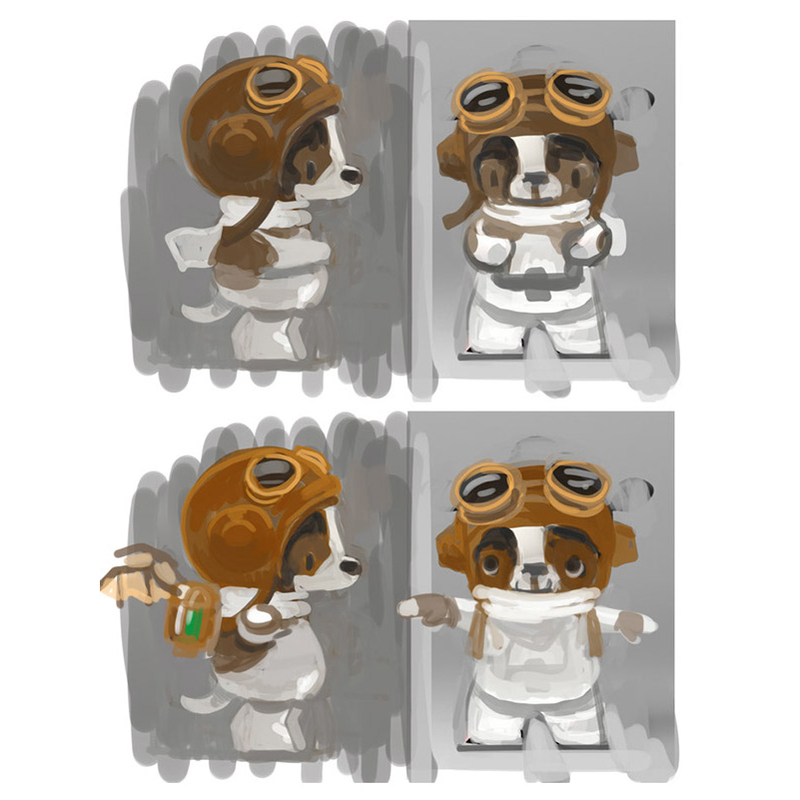 Not just the character but the whole game concept is drawn in pastel style. Awesome! An adorable birthday card design created by Lydia Jean. 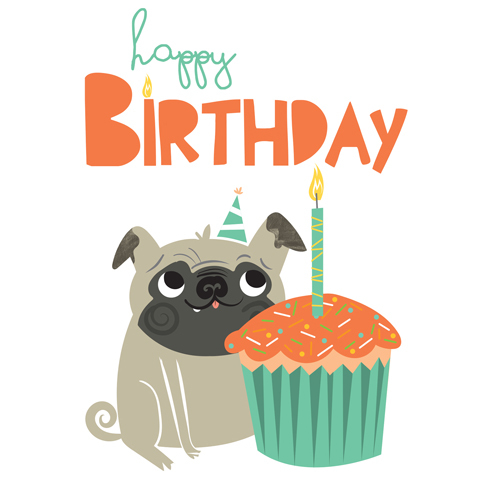 Drawn entirely in a flat style with a pinch of watercolor texture on the ears, this pug greeting card is everything you’d want for your birthday. 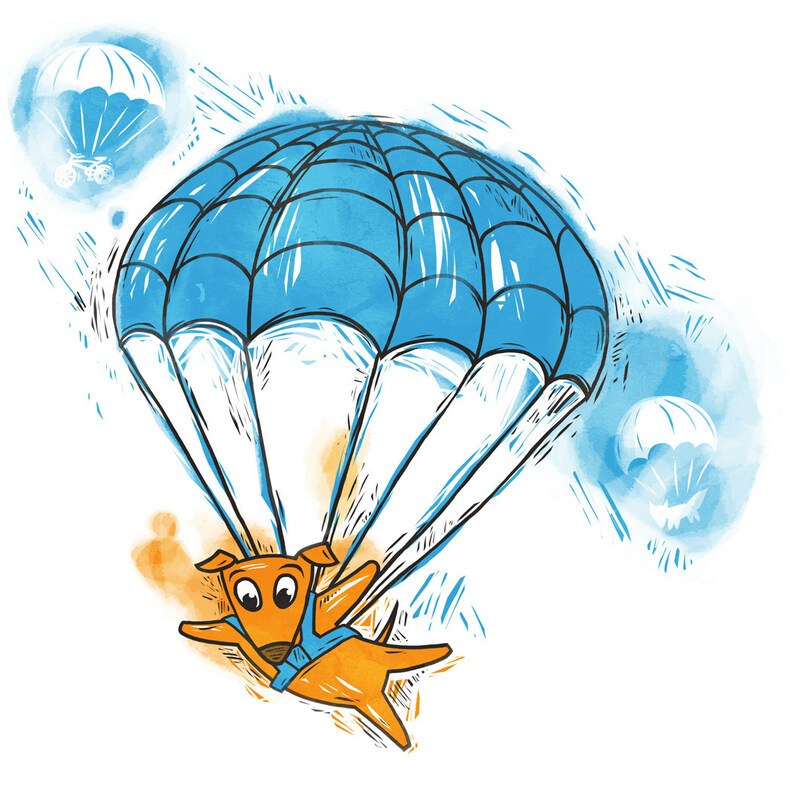 “Little positive poexperiment” – a project of two talented artists which features this heart-melting watercolor outline illustration of a dog with a parachute. It can’t get any cuter than this! 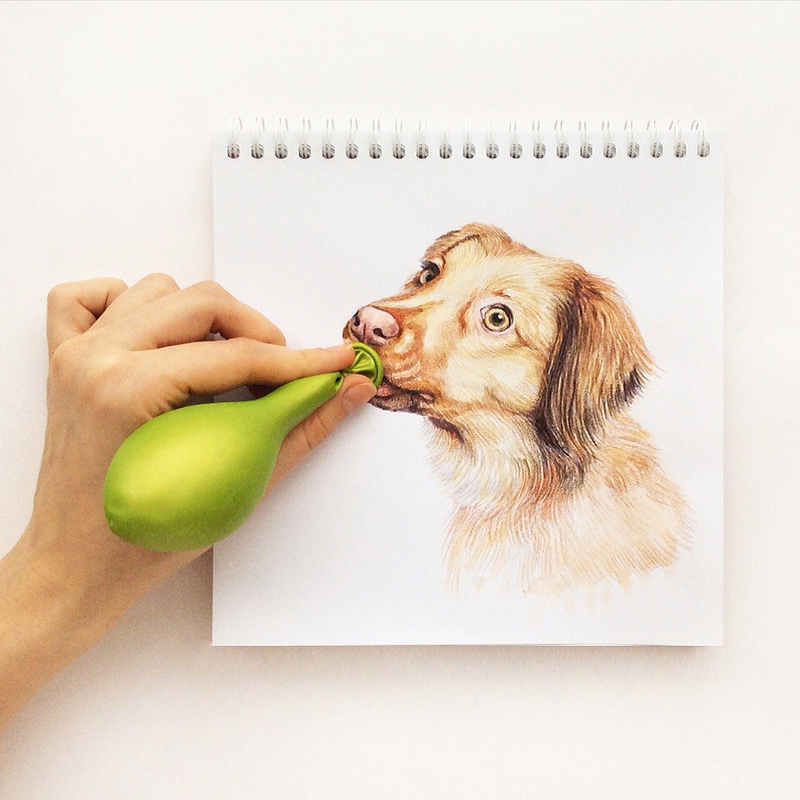 Created by Form Friends, these dog illustrations actually present the concept of dog toy. Head over the model’s Behance profile to see what the toy idea looks like in 3D. You are also welcome to share your own dog illustrations or sketches in the Comments’ section below. We are eager to see what you have created. See ya!